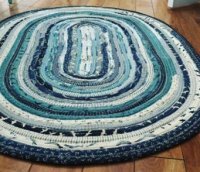 Currently one of the most popular projects, this classic looking rug is done with modern precut supplies and techniques to make it a fun custom-made piece. Taught by Rita Stewart, UK Lincoln County Extension Agent for Family and Consumer Sciences, this class will be offered in three sessions to allow the students to work at their own pace and enjoy the process. This class if for intermediate to advanced sewers only. Sewing machine with zig-zag capability. Remember your foot pedal, power cord and extra bobbins! First Class (Pre-workshop Session) – April 8 Only: All participants must attend at least the first part of this session. Participants will learn about the class and what’s required. We will review the supply list and answer any questions. Supplies are available at The Quilter’s Trunk Sewing Center. There will be a demonstration showing how to complete the required “homework”. “Homework” should be completed and brought to the next class on April 15. Optional for this session only: Participants may choose to stay and sew after the demo. The classroom will be available until 2:00 p.m. on this date. Supplies needed if you choose to stay following the pre-workshop session… Jelly Roll strips, sewing machine, basic quilting supplies, thread, iron/ironing station. You will not need the other supplies until the April 15 and 22 sessions. 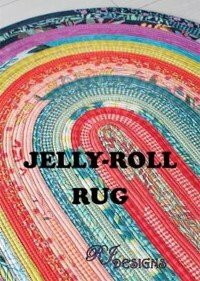 Participants will need to attend all 3 sessions to complete their jelly roll rug. A limited number of rotary cutting supplies and irons and mats are available in the classroom for students use. This class is offered for free courtesy of the UK County Extension Service. Registration is required. The enrollment for this class is limited to 8 persons due to the scale and hands-on needs of this project.